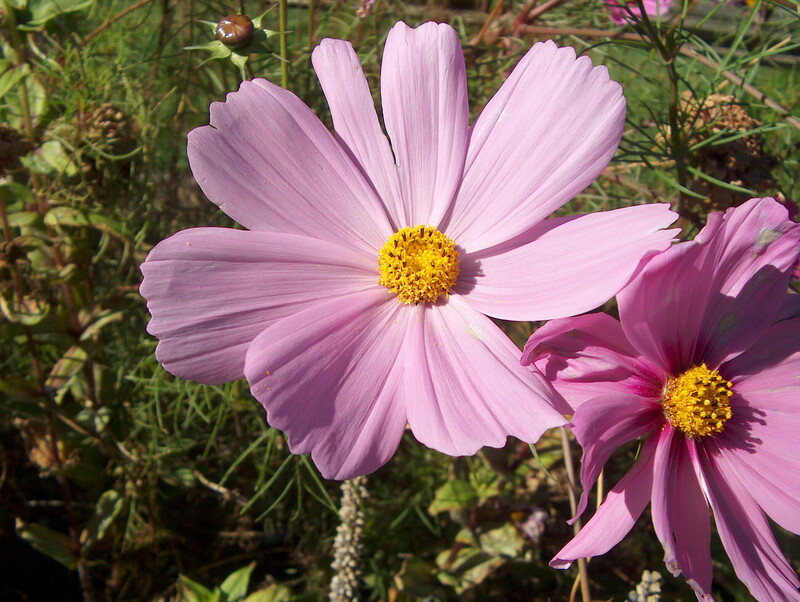 Comments: Cosmos have large, up to four inches across, daisy-like flowers. They make wonderful cut flowers. The colors may be white, pink or red. Bloom over a rather extended period in the spring into summer. Select a sunny, well drained site for this annual. Excellent spring flowering bedding plant.